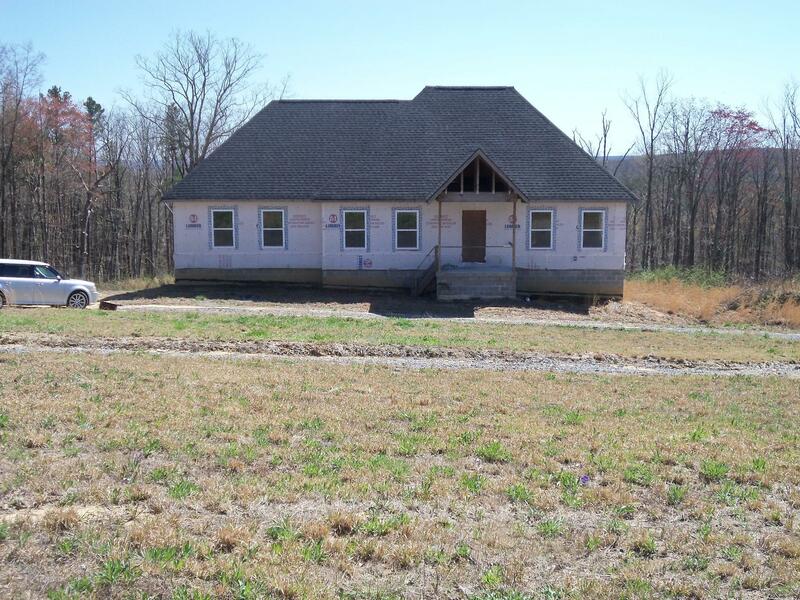 This home sits on some or the most beautiful property in Sequatchie. The view is gorgeous & you have plenty of room with 7.74 acres. This home is unfinished, but all rooms are studded off, all windows and doors (except 2) are there ready to be installed. Owner unable to finish this home. The basement is ready to be totally finished with 2 BR, 1 BA, Den, Kitchen & Fireplace. The main level has Master Suite with place for Garden Tub, Separate Shower & walk in closet. Main level also has Living Room, Kitchen, & separate Dining Room all needs to be finished. The potential full deck would have breath taking views. Call to get details & an appointment to see this once in a lifetime opportunity House being sold ''as is''.